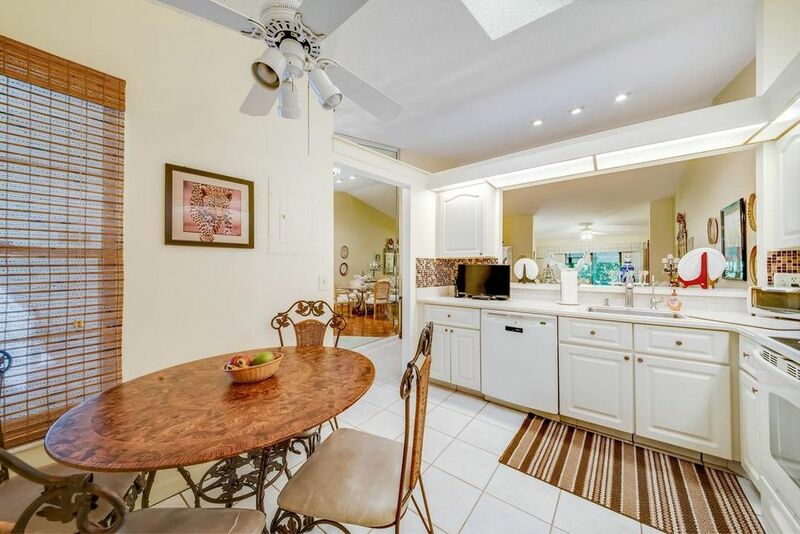 Find paradise in this charming 3 bedroom, 2 bathroom villa. 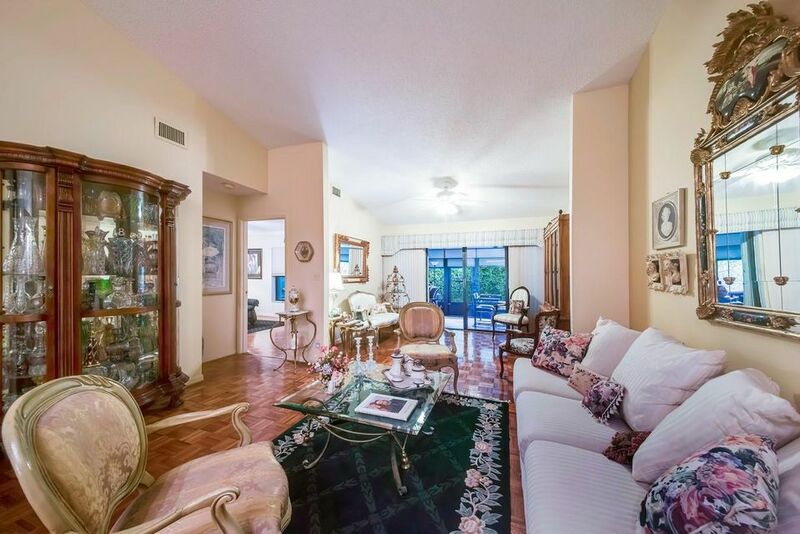 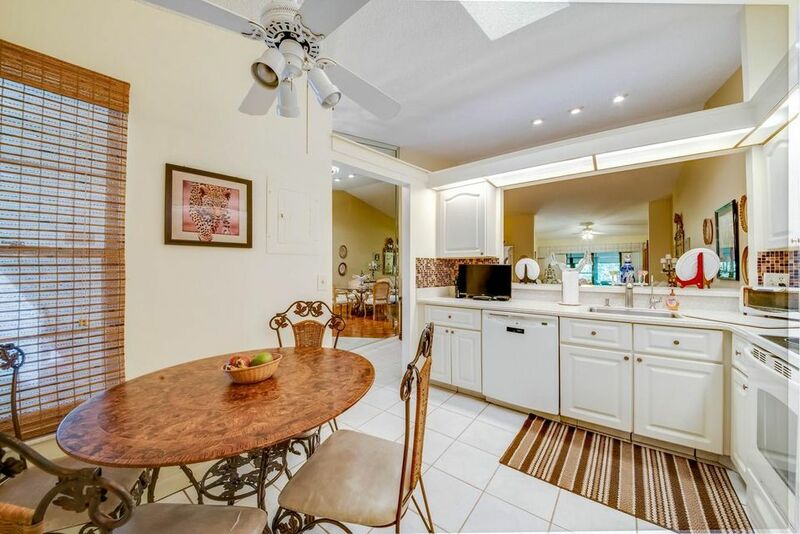 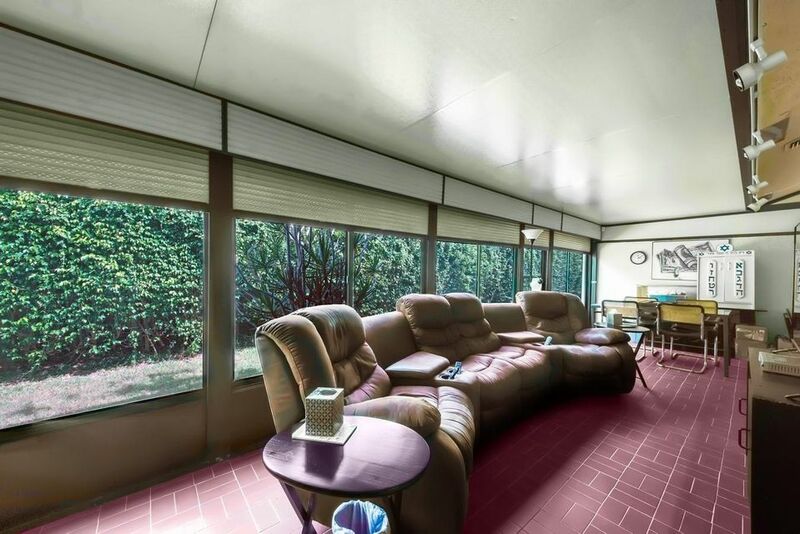 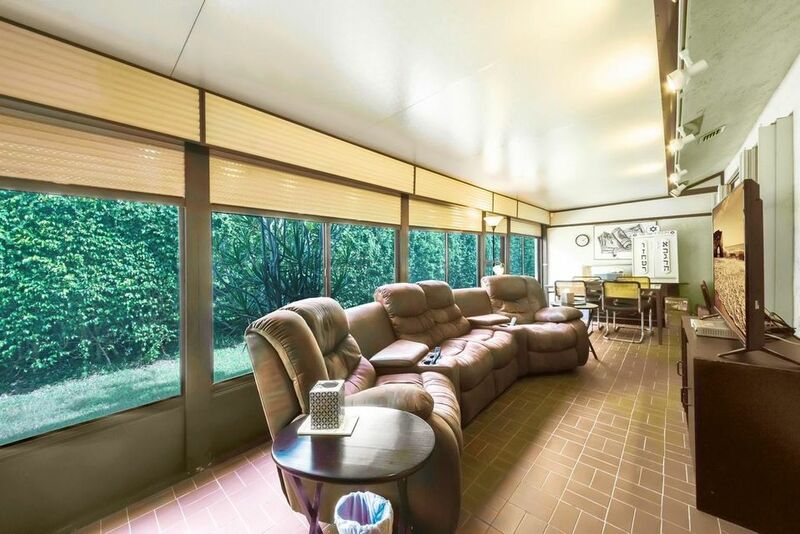 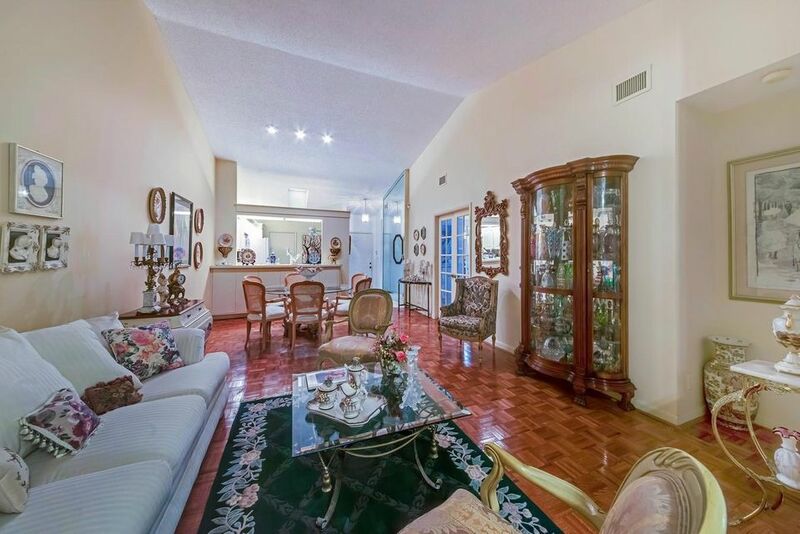 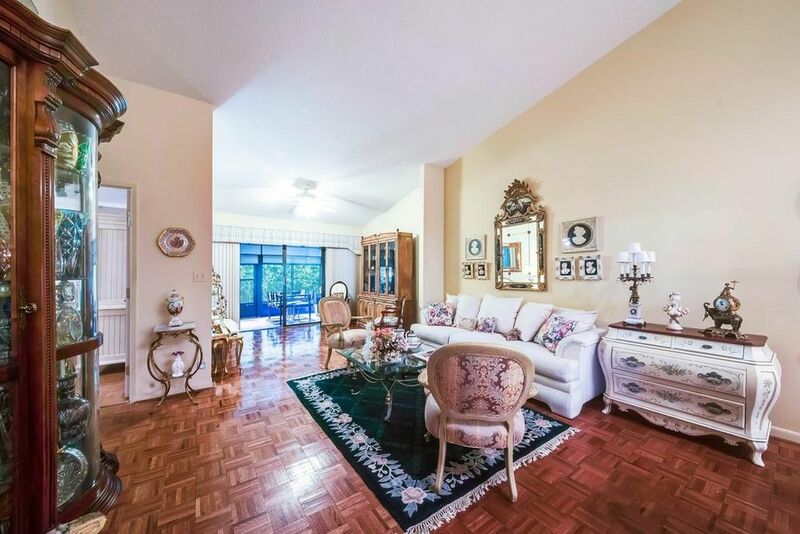 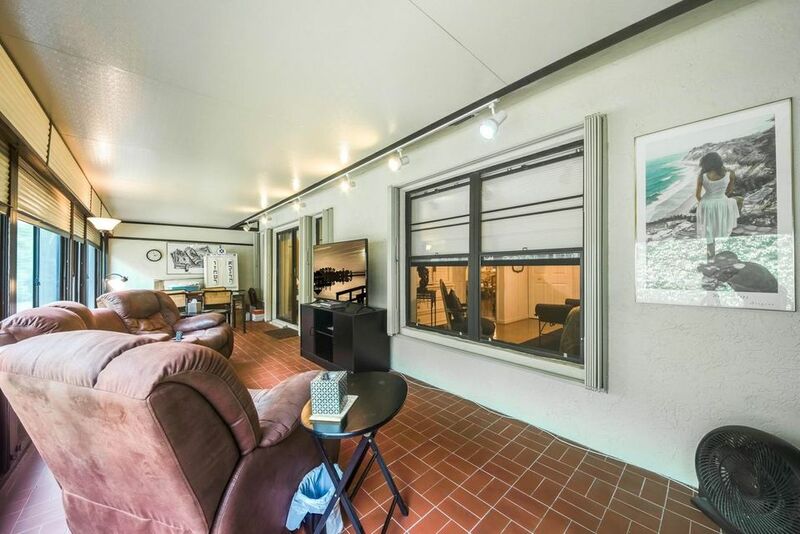 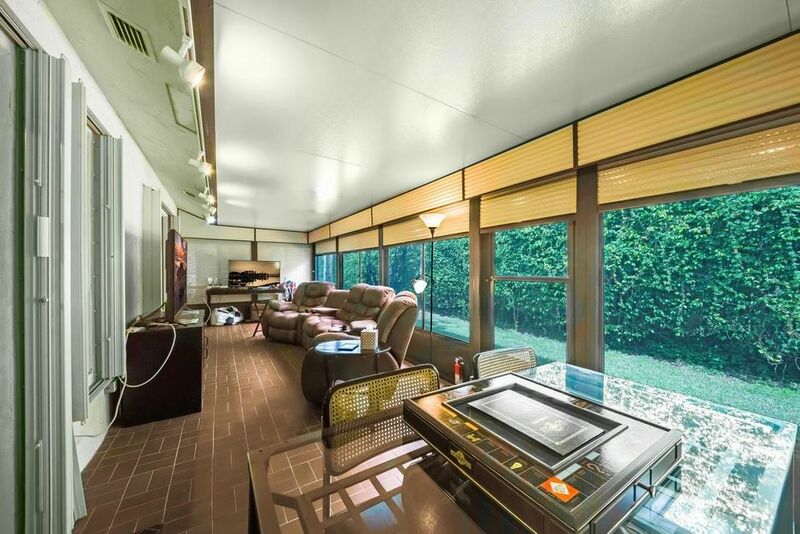 Perfect layout for entertaining with a living room, dining room and enclosed patio. 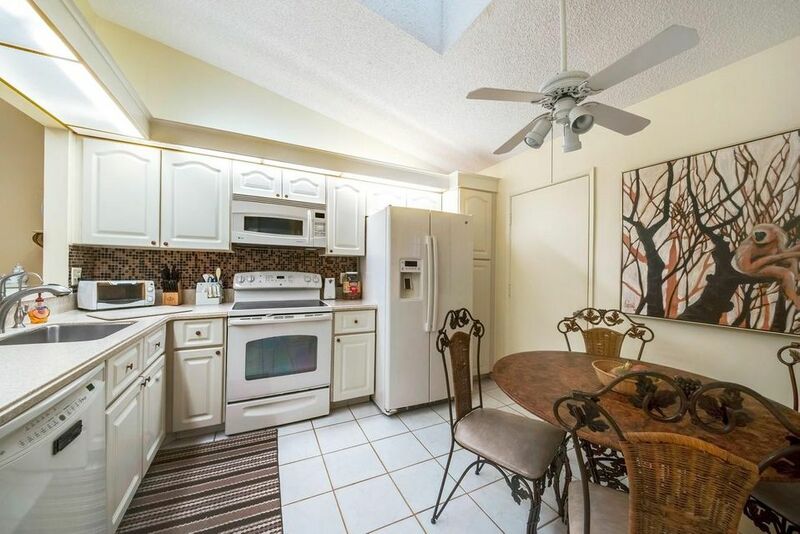 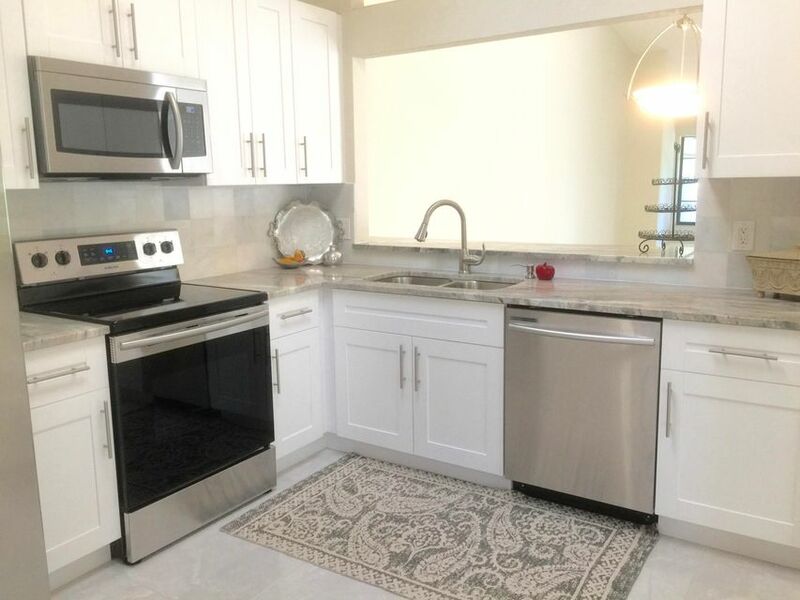 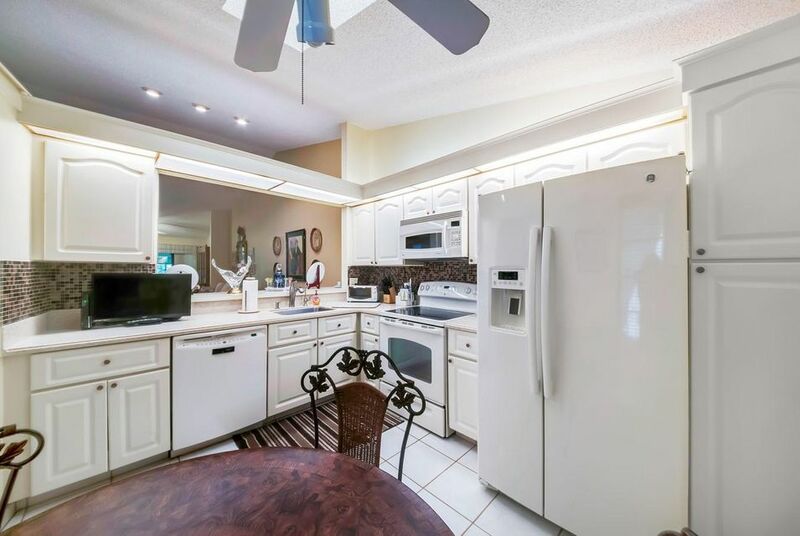 Highly functional eat-in kitchen with updated cabinets, newer appliances, tiled backsplash, a pass through to the dining area and plenty of cabinet space. 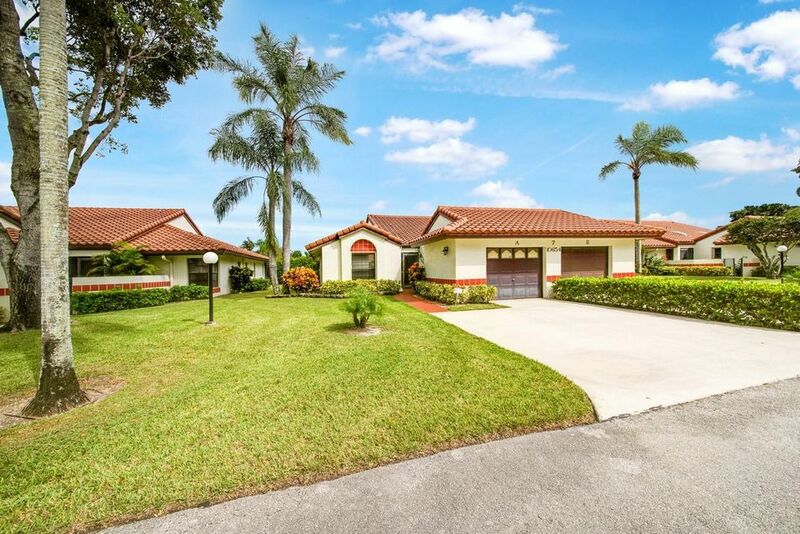 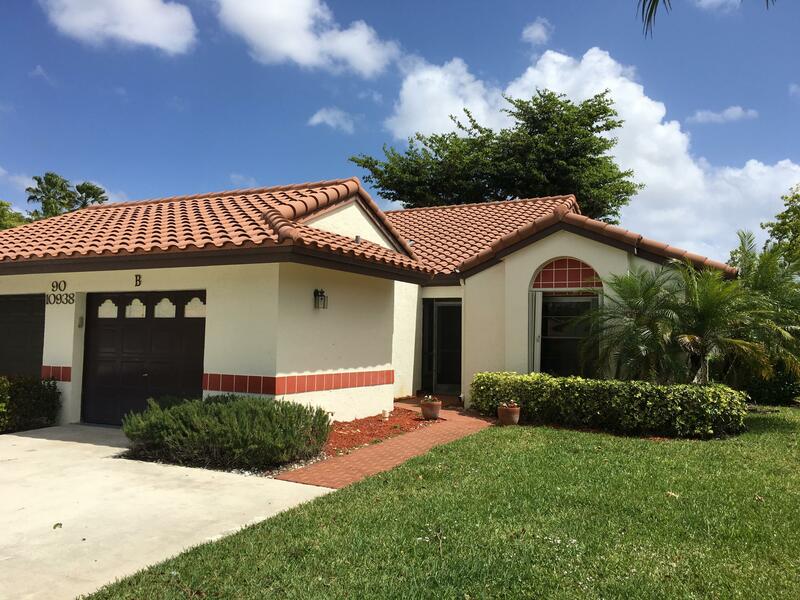 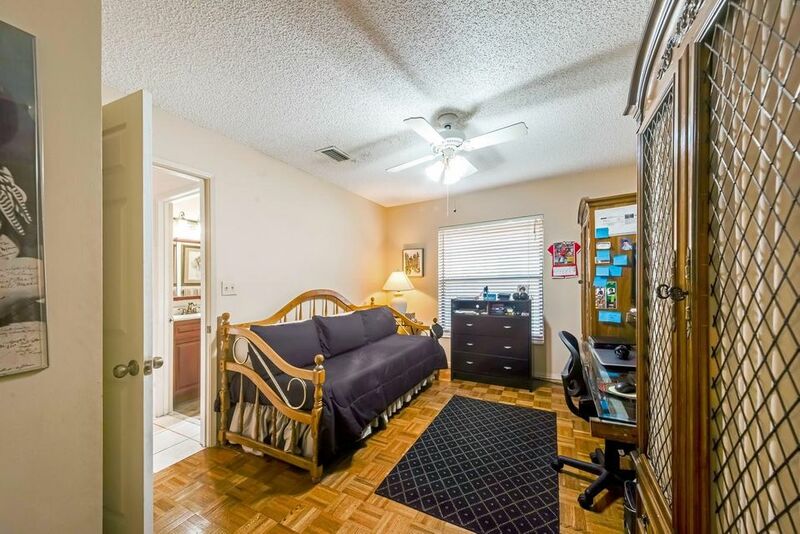 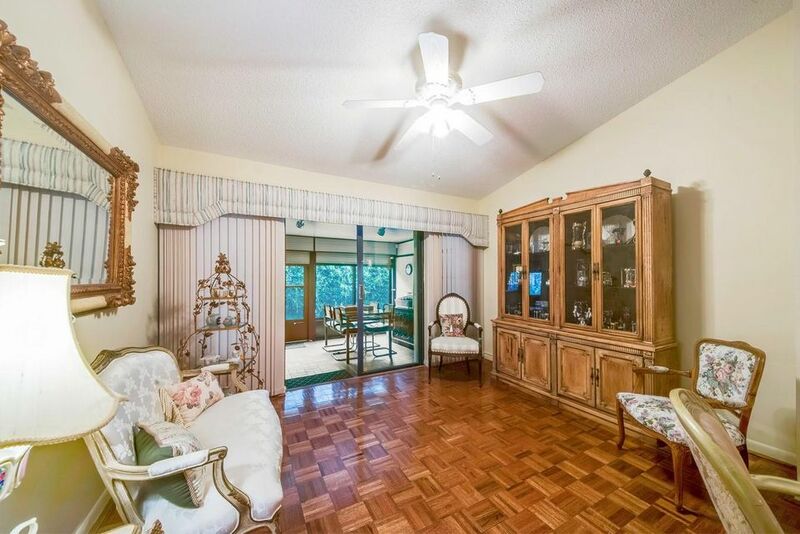 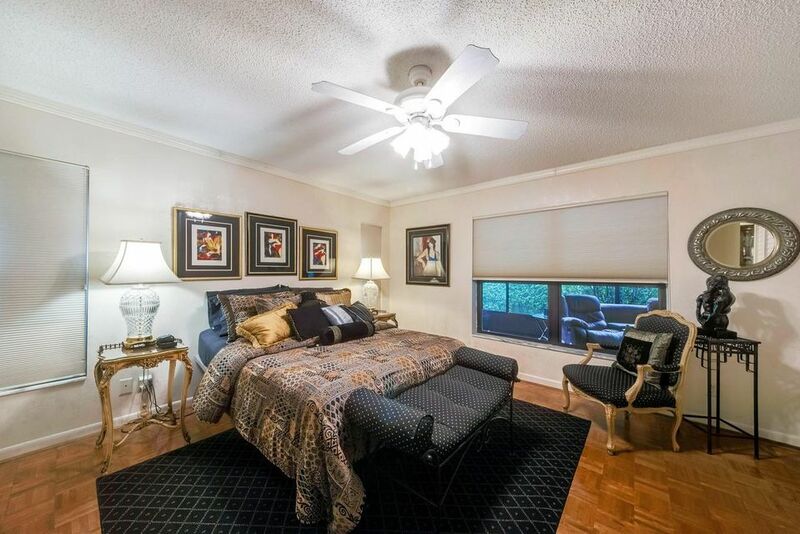 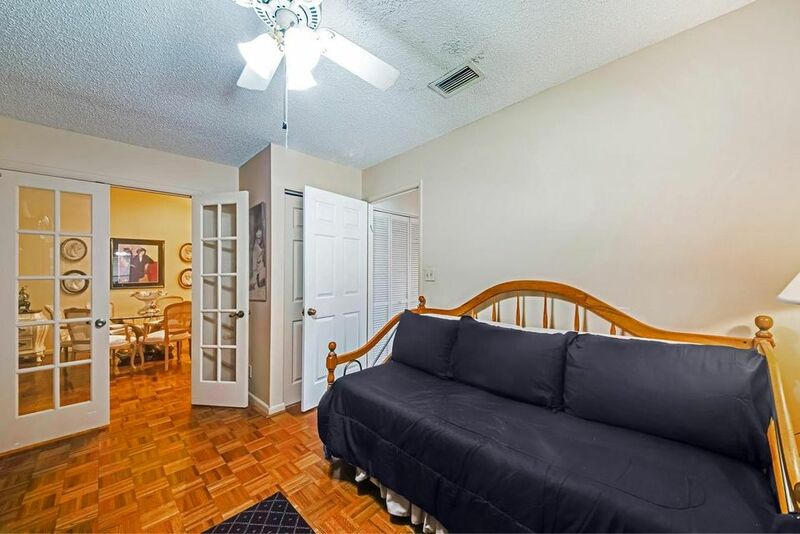 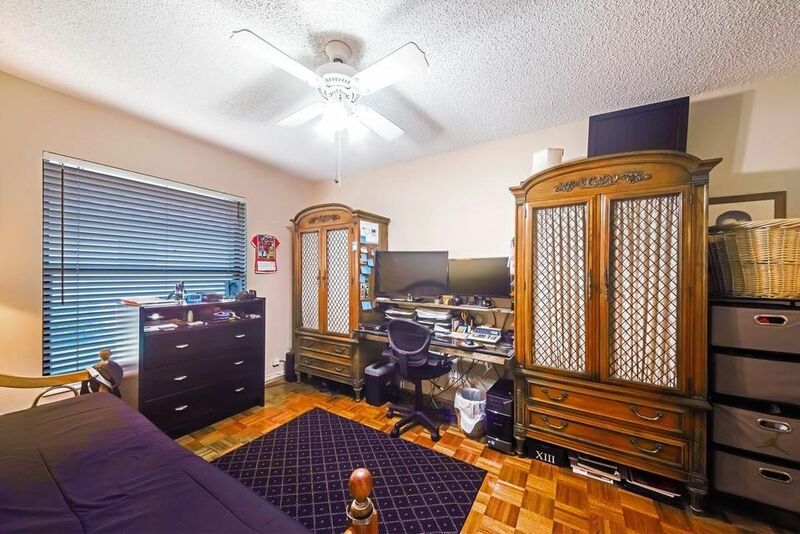 Spacious master retreat with crown molding. 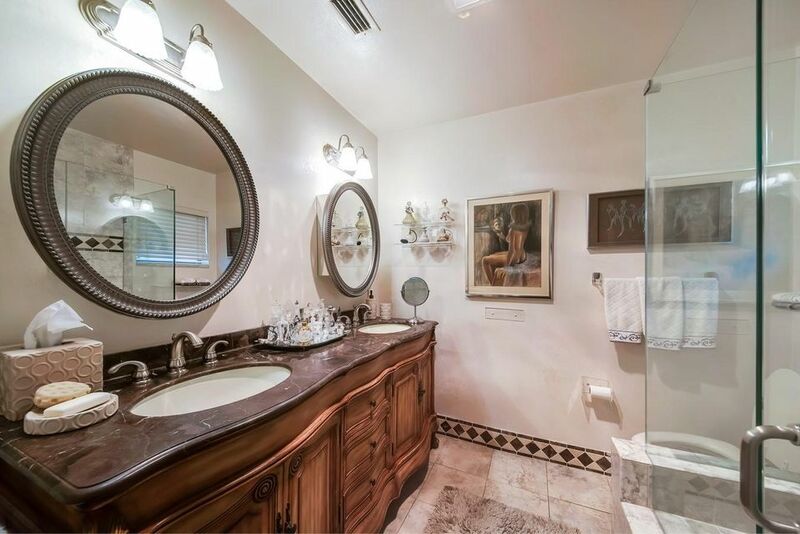 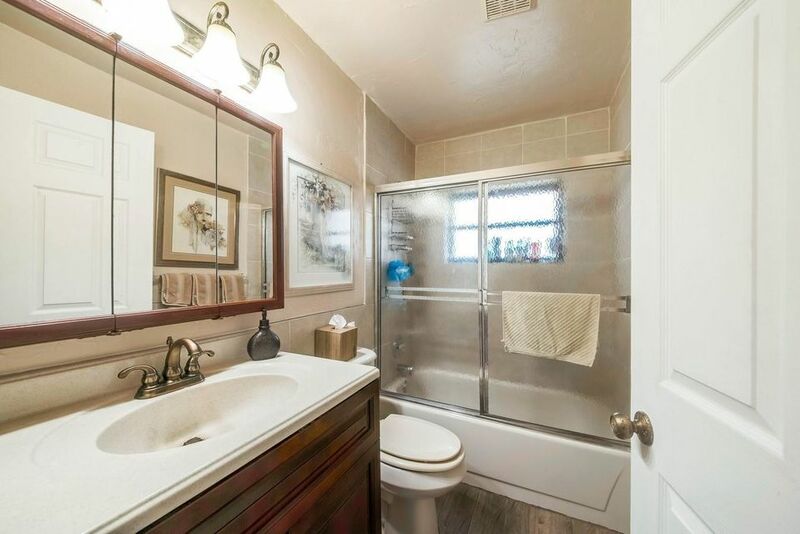 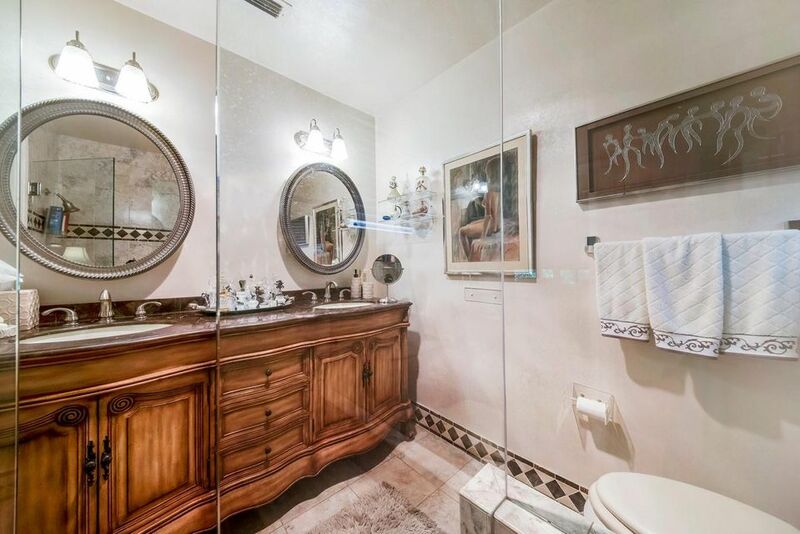 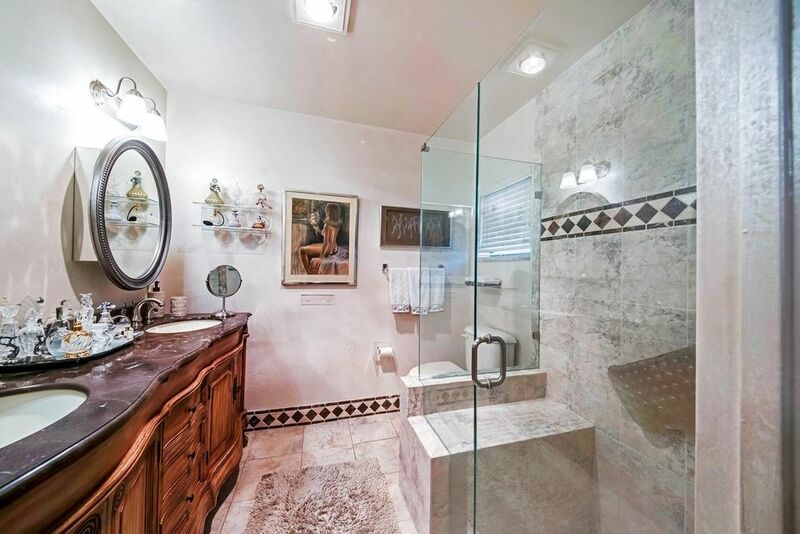 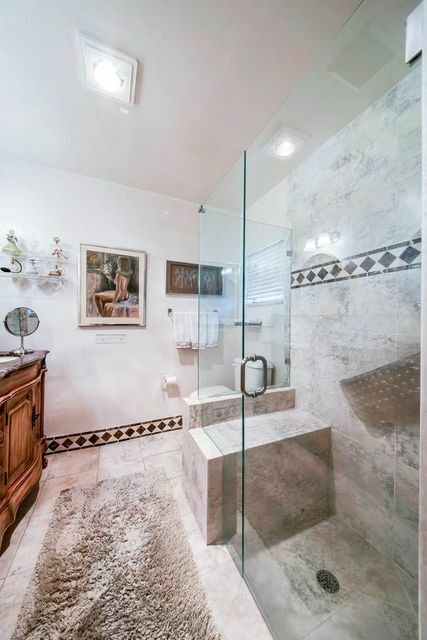 Updated master bath features dual sinks and a walk-in shower. 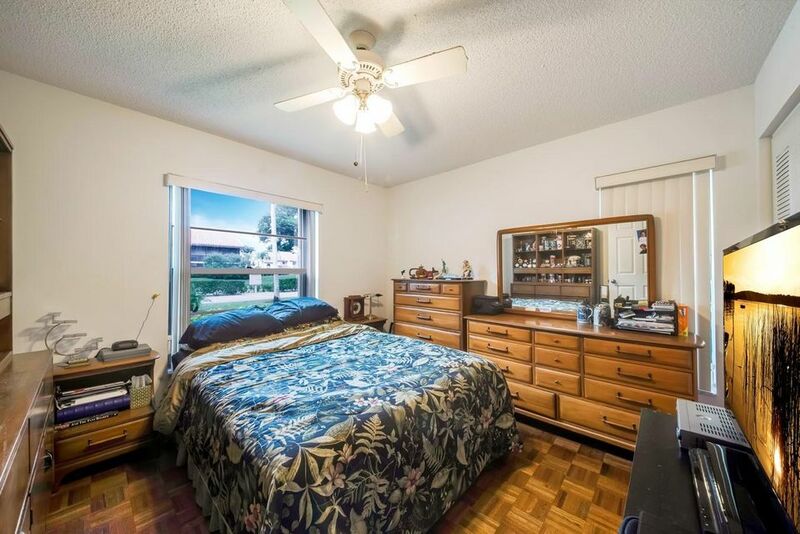 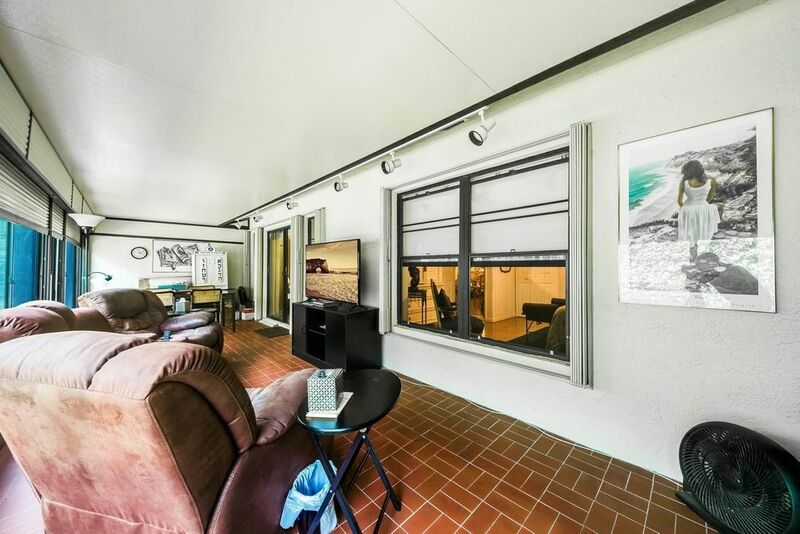 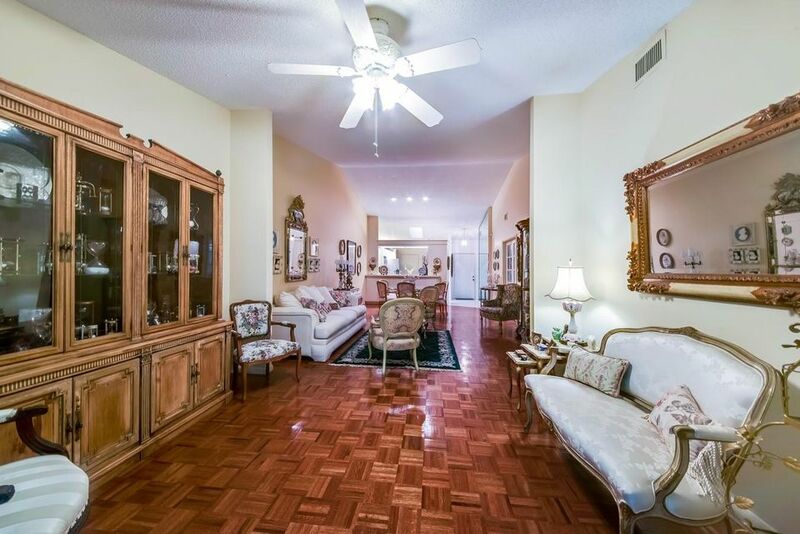 This home boasts wood flooring, neutral decor, vaulted ceilings, accordion shutters and an abundance of natural light. 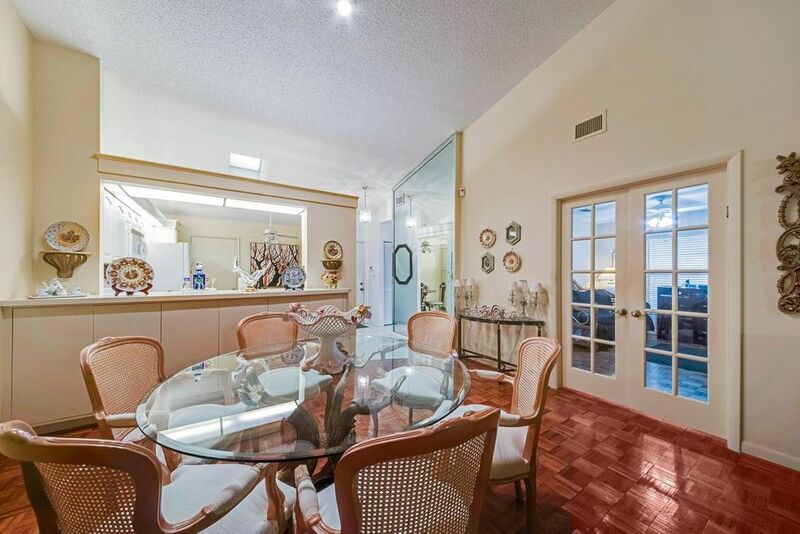 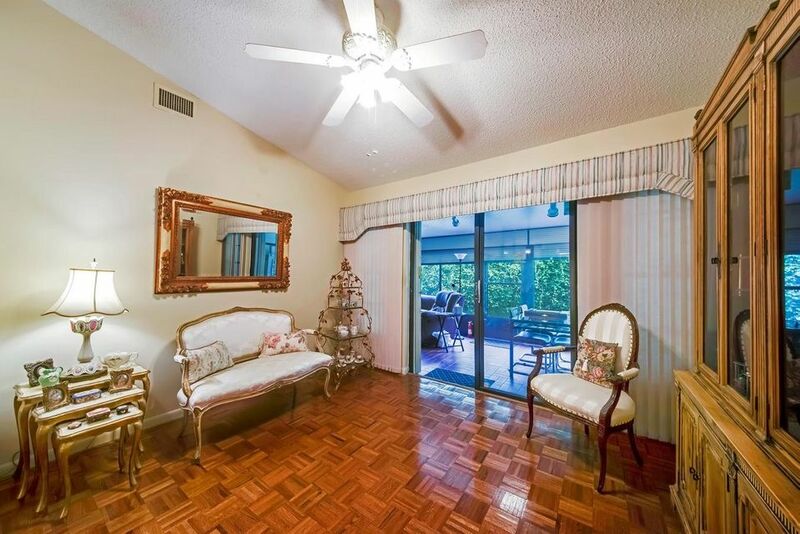 Enjoy quiet evenings on your private, enclosed patio with A/C . 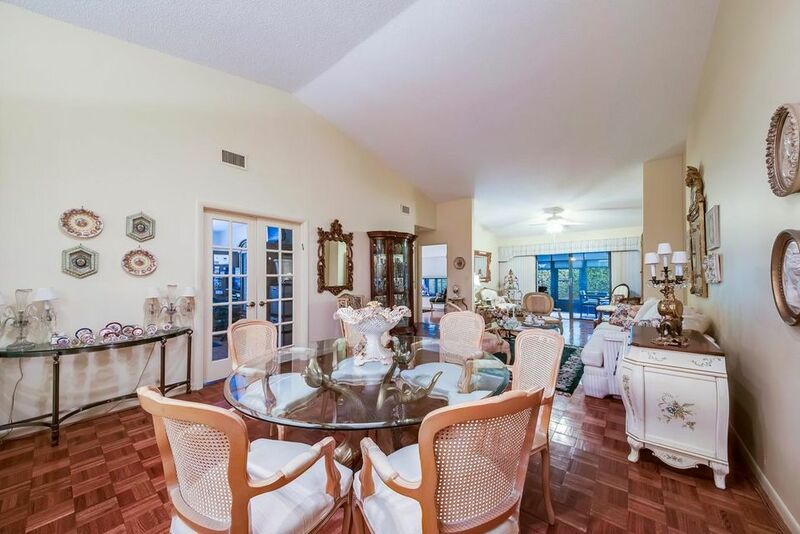 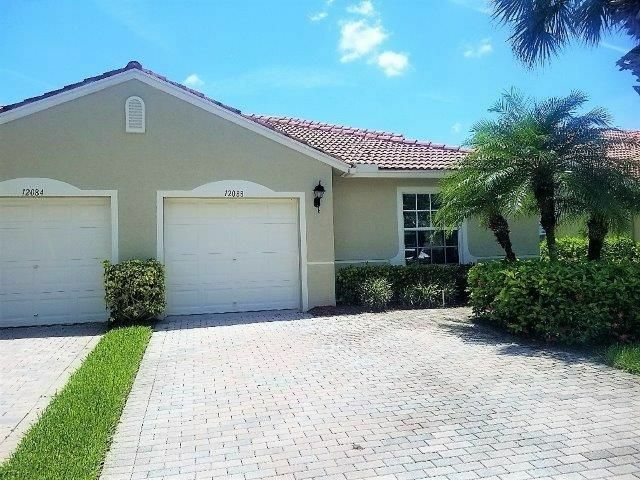 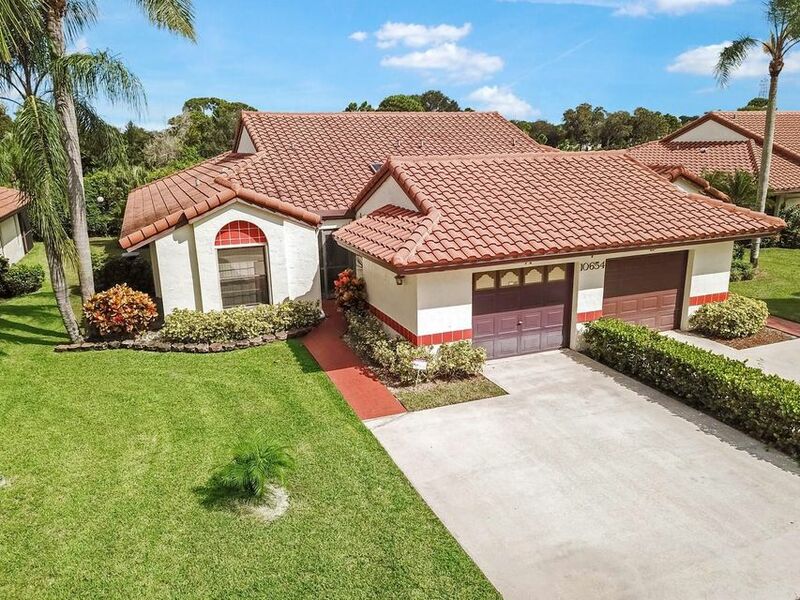 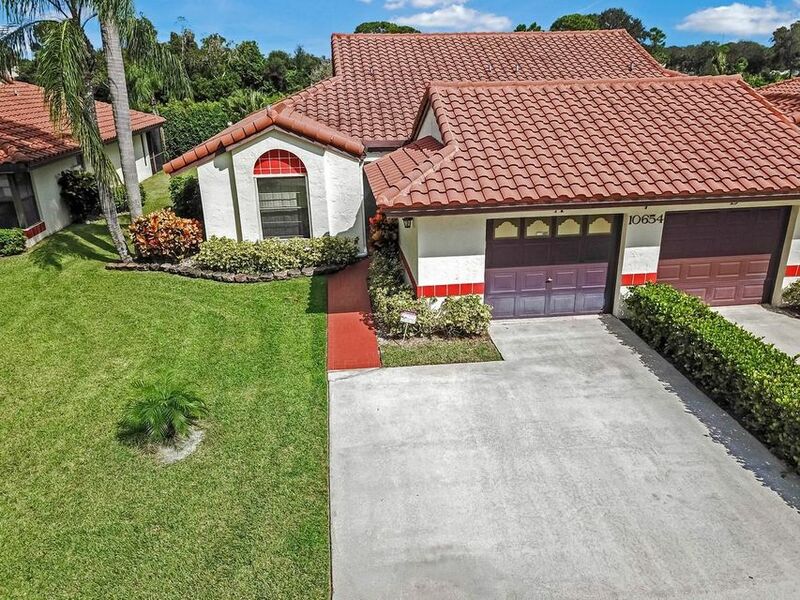 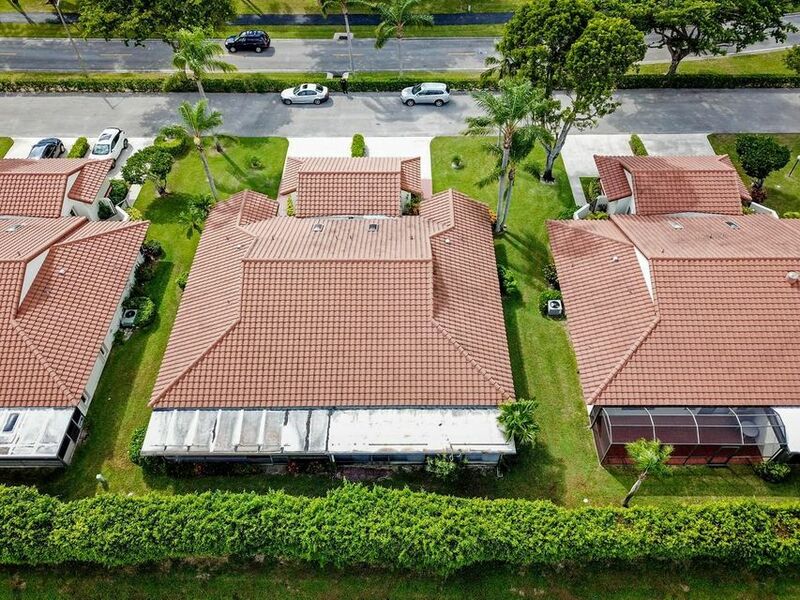 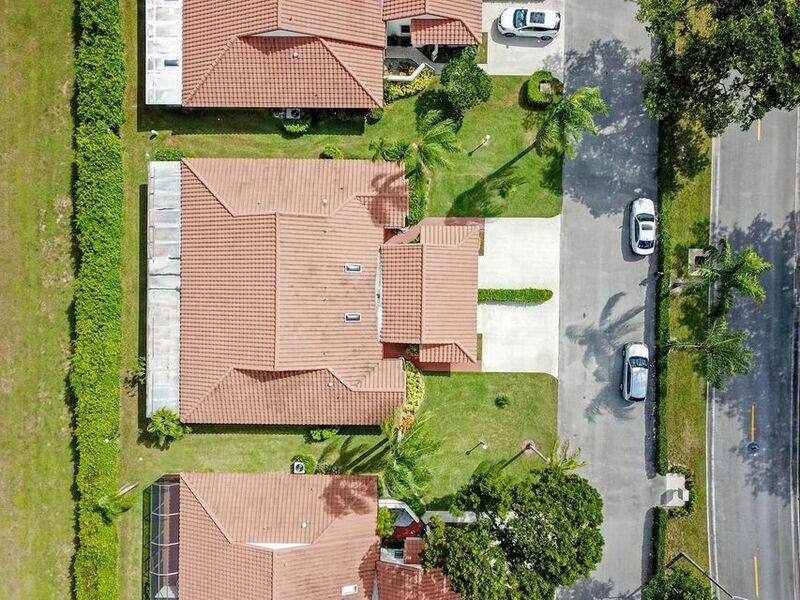 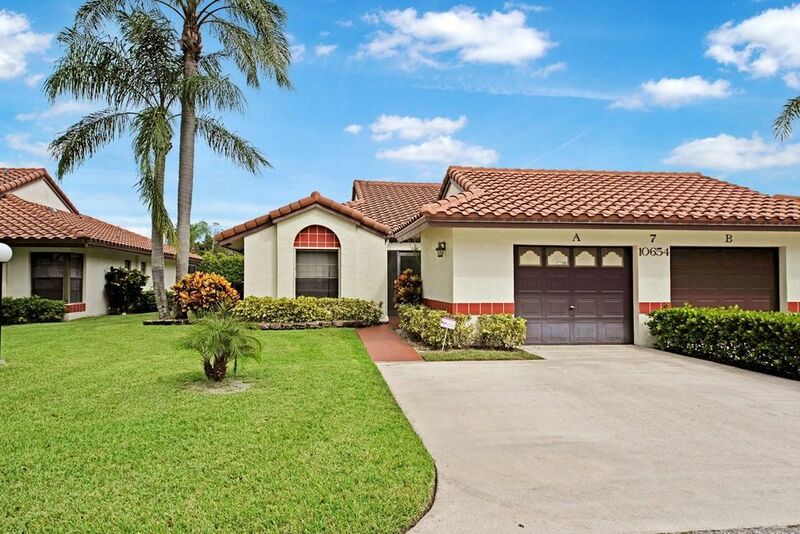 Palm Chase is an active adult community with a clubhouse, fitness center, gathering room, resort style pool, tennis and numerous clubs and actives to keep you entertained.